One pair of 14 karat yellow gold, nugget framed earrings. 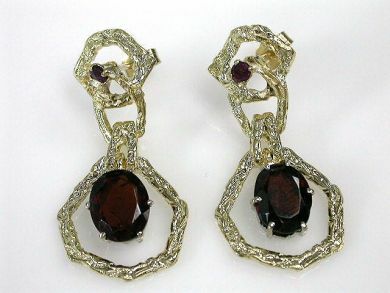 Two garnets (4.67 carats). Two rubies (0.22 carats).